Congratulations to Paige Brewer and Sailor Perry, December's recipients of the HMS/Rotary Student Recognition award! This recognition is based on growth mindset and the effort/grit/perseverance demonstrated by HMS students. To say that Sailor is a "hard worker" would be the understatement of the year! She brings her fun and cheerful energy to each class, and always putts in her best effort. Sailor also always looks out for her peers and the greater classroom community. We are so lucky to have Sailor at our school! Paige is an enthusiastic student who sets high expectations for herself! She is a very supportive and collaborative worker, and her can-do attitude makes her a valued member of any team. Paige’s 6th grade team also shared their thoughts adding that Paige is a pleasure to have in class. She sets the bar high for herself and works hard to get there. She asks great questions and is so kind and helpful to everyone in the class. 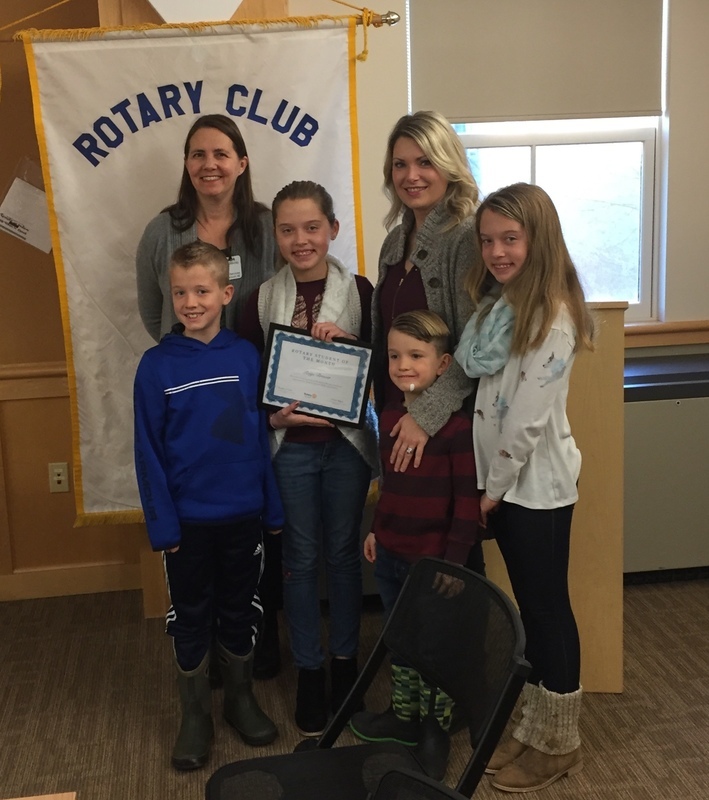 Congratulations, Paige and Sailor and thanks to Sarah MacGillivray and the Rotary for their partnership!